Do you need a bigger file? The file available on this site is 694 x 1024 px. To obtain an alternate file type or higher resolution copy, please contact the owning institution. 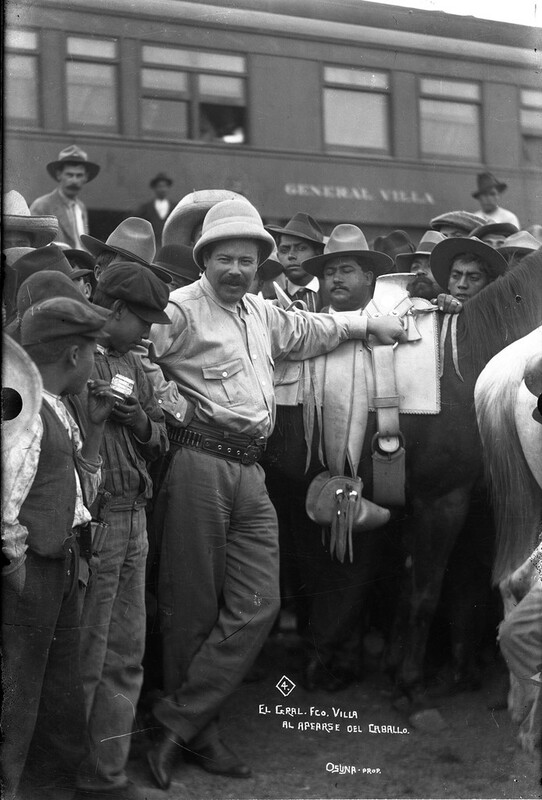 Scope/Content: Francisco (Pancho) Villa standing casually next to a black horse. He is surrounded by a crowd of people and wears a white helmet, white shirt, and dark pants. In the background is a train car with lettering reading "General Villa." 4. El General Francisco Villa al apearse del caballo.